The InMed-15 conference will feature a number of prominent keynote speakers. The speakers and the titles of their talks will be shown here. Modern medical imaging technologies make it possible to explore the human body in a multitude of ways, depicting anatomy, metabolic function and pathological processes. Innovations in medical imaging have been paralleled by the development of computer-based image processing methods to automatically detect and diagnose pathologies, quantify disease progression and assess possible risks and complications when planning a surgical intervention. Computer support for treatment planning is not limited to image processing (filtering, segmentation, registration), but also includes artificial intelligence (decision support systems), mathematical and computational models (finite element simulations) and hardware (tracking and guidance systems, mechatronic and robotic tools). All these tools can be combined to assist and guide the surgeon in the operating room. In this talk, we will see examples of these techniques applied to orthopaedics, heart failure, cochlear implants and foetal surgery. 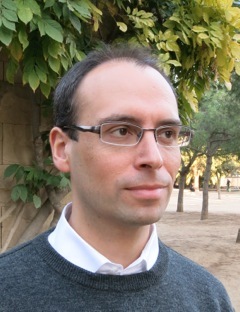 Prof. Miguel A. Gonzalez Ballester holds a Computer Engineering degree from Univeristat Jaume I, Spain, and a doctoral degree from the University of Oxford, UK (2000). His doctorate, under supervision of Sir Michael Brady and Prof. Andrew Zisserman, focused on the analysis of brain MRI data for multiple sclerosis and schizophrenia. He was awarded the prestigious Toshiba Research Fellowship and worked for two years as a senior researcher at Toshiba Medical Systems Japan, where he developed novel, patented systems for MRI parallel imaging. In late 2001 he obtained a faculty position at INRIA (Sophia Antipolis, France), where he led research projects on medical image analysis and mathematical modelling. In 2004 he joined the University of Bern (Switzerland), as head of the medical image analysis group, and later became head of the surgical technology division, working on medical image analysis, computer-assisted surgery, and surgical robotics. From 2008 he was in charge of the Research Department at the company Alma IT Systems S.L. in Barcelona (Spain), leading the development of software for diagnosis and surgical planning. In October 2013 he was awarded an ICREA Senior Research Professorship, and joined the Department of Information and Communication Technologies at UPF. Computational anatomy models statistically represent inter-subject variability of human anatomy including individual organ shapes and their interrelations. These models are regarded as prior probabilities of human anatomy and can be utilized for Bayesian estimation problems related to anatomical identification. 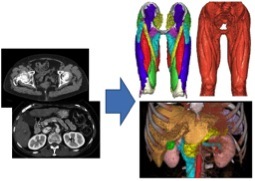 This talk presents medical image analysis of the abdominal organs and musculoskeletal structures using the computational anatomy models. In addition, multidisciplinary extensions of computational anatomy will be discussed especially on integration of organ function and pathology. Yoshinobu Sato received his B.S., M.S. 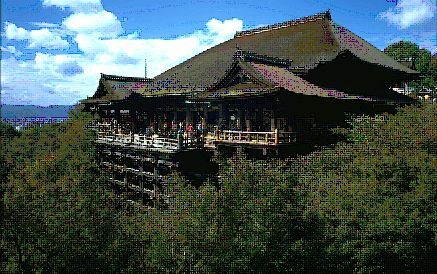 and Ph.D degrees in Information and Computer Sciences from Osaka University, Japan in 1982, 1984, 1988 respectively. From 1988 to 1992, he was a Research Engineer at the NTT Human Interface Laboratories. 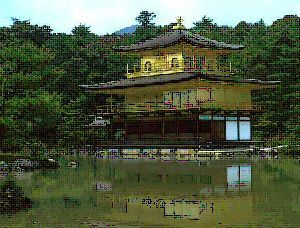 In 1992, he joined the Division of Functional Diagnostic Imaging of Osaka University Medical School as a faculty member. From 1996 to 1997, he was a Research Fellow in the Surgical Planning Laboratory, Harvard Medical School and Brigham and Women's Hospital. He is currently a Professor at Nara Institute of Science and Technology. His research fields include medical image analysis, computer assisted surgery, and computational anatomy. Dr. Sato served as MICCAI 2013 Program Chair. He is a member of IEEE, MICCAI, and CAOS-International, and an editorial board member of the Medical Image Analysis journal and the International Journal of Computer Assisted Radiology and Surgery. Laparoscopic surgery, called minimally invasive surgery(MIS), has become a common surgical technique with a number of advantages to patients over open surgery, such as reduced hemorrhaging, smaller incision, less pain and shorter recovery time etc.,. However, MIS requires advanced surgical techniques difficult to master for trainee-doctors, because of the limited field of view with an endoscope and poor force sensation from surgical instruments such as forceps. This talk represents "one to many" & "hands on hands" remote MIS training system with VR surgery simulator, towards anywhere at anytime hands-on MIS training. 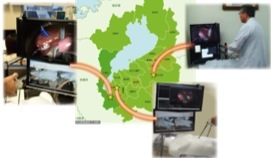 The remote MIS training system is based on advanced ICT called Multi-User & Multi-points Haptic Collaborative Virtual Environment (MMHCVE), which allows multiple participants at remote sites on the network to simultaneously interact with the same target soft tissue with haptic force sensation in virtual environments, by only exchanging a small set of manipulation parameters for the target soft tissue. Hiromi T. Tanaka received her B.S. 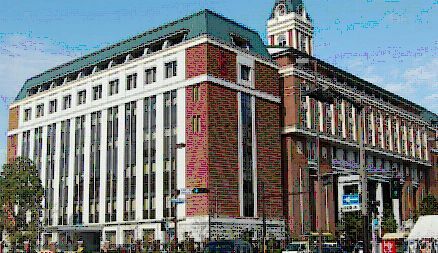 degree in physics from Ochanomizu Woman University in 1975, M.S. degree in computer science from the University of Rochester in 1982, and Doctor of Engineering degree from Osaka University in 1988. From 1988 to 1994, she was a research scientist at ATR (Advanced Telecommunication Research Institute). In 1994, she joined the Ritsumeikan University as a full professor. Her research interest is in the areas of CV, CG, VR, haptic communication etc. She has headed many government-commissioned national leading research projects; "Volume-based Haptic Communication with realistic sensation(2004-2007)" and "Multi-users & Multi-points HCVE for Remote Surgery Training(2011-2014) " under MIC (Ministry of Internal Affairs and Communications), "Haptic Collaborative Virtual Environment Towards "Anywhere Advanced Medicine (2010-2013) " under NICT(National Institute of Information and Communications Technology), "Digital Museum of "KYOTO Arts & Entertainments (2009-2014) " under MEXT (Ministry of Education, Culture. Sports, Science and Technology). She is a member of The Science Council of Japan (SCJ), IEEE and ACM.